Midwest Window and Door has been providing vinyl windows for homes just like yours for over 30 years. We offer name brand new and replacement vinyl windows. As homeowners themselves, our professional estimators know that every home is unique and no two budgets alike. Whether you are building a new home, remodeling or simply replacing your old windows, our manufacturers have the new vinyl windows and replacement window styles you are looking for with the features you are looking for at prices to fit almost any budget. 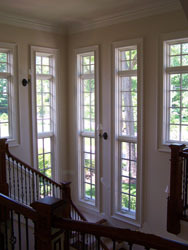 All of Midwest Window and Door’s suppliers offer Energy Star Efficient windows including many that are LEED Qualified. And Since we only deal with the most reliable and highly rated manufacturers, you can be sure that these windows – and the investment you make in them now – will look as good years from now as they do today. Visit our Take a look at our name brands manufacturers listed below and call us for a quote today.